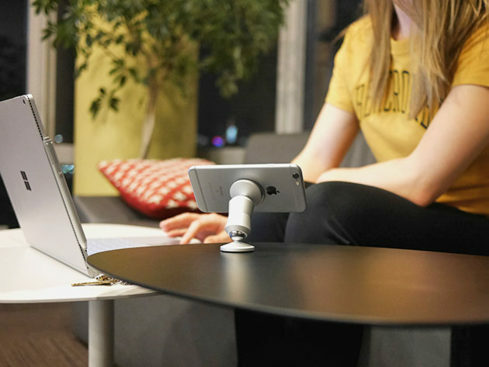 The ClutchIt Double-Sided Magnetic Phone Mount will attach to any metal surface, or any surface when using a metal plate pad. ClutchIt Double-Sided Magnetic Phone Mount: Dual Magnets, Dual Pivots & the Ability to Attach Your Phone to Just About Any Surface – Just $29.95! 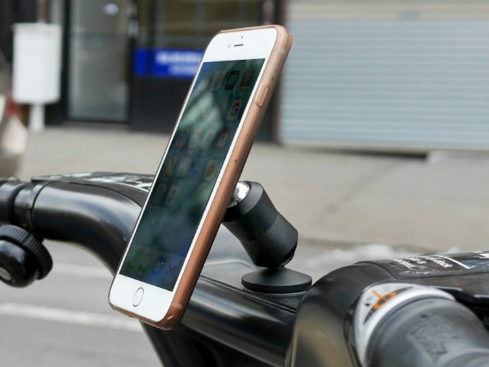 Because a car mount isn’t quite enough for your phone, ClutchIt is an ingenious double-sided magnetic phone holder and mount that can attach to any metallic surface or nearly any surface with metal plate pads. Whether you need to read a recipe on your fridge, navigate in the car, or set up a video at the gym, ClutchIt offers elite flexibility with its dual magnetic, and dual pivoting abilities.